We are excited to announce the first speakers and sessions for the next news:rewired digital journalism conference on 23 July at MSN UK’s offices in London. Trushar Barot, assistant editor, BBC UGC and social media hub, will be joining the panel for a session on private social media networks such as Snapchat, WhatsApp and WeChat. Nazanine Moshiri, roving correspondent, Al Jazeera English, will be taking part in a session on how journalists are using the social news site Reddit. Sarah Marshall, Social media editor, EMEA, at the Wall Street Journal, will be leading a session on social media tools for journalists. 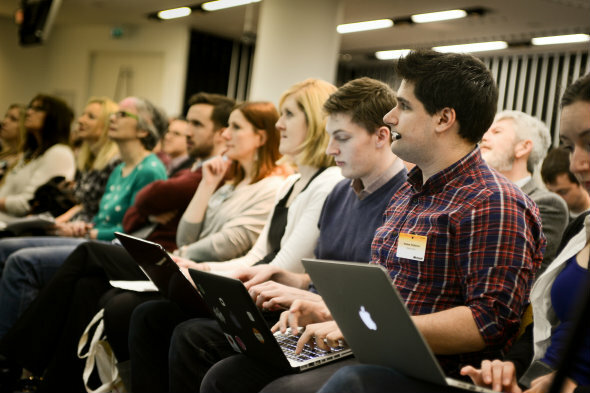 Tickets for news:rewired are available now for £130 +VAT, and you can also purchase tickets as a package alongside a one-day journalism training course with news:rewired+ for just £300 +VAT. You can buy tickets here, and watch this space for more agenda announcements coming soon.